“I just write the code and throw it over the wall. It’s up to Ops to make it work” -- when Devs care only about coding, Ops and customers suffer. “It’s not my job to test code. If there’s a problem, talk to QA.” -- when Ops care only about stability, innovation and customers suffer. 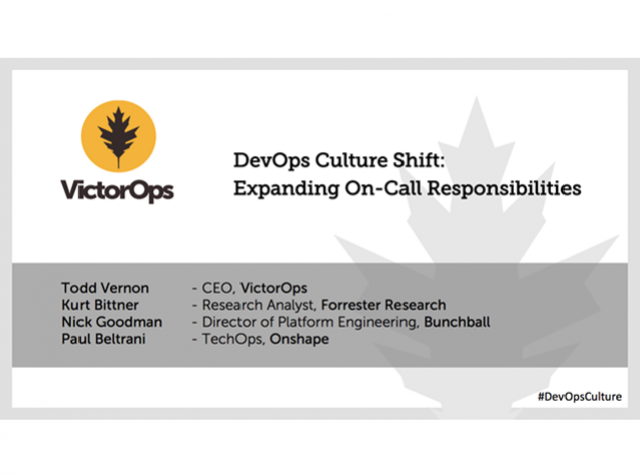 DevOps represents cultural change. Whether it’s the change of resistant engineers that don’t want to be on-call or the change of Operations teams to have more empathy towards their counterparts writing code, to the willingness of executives to embrace a culture of automation, measurement and sharing. Organizations must overcome the culture war to be able to approach the agility and productivity that organizations following a DevOps model gain. The faster they can get there, the faster these organizations can take the competitive edge away from traditional enterprises. - Why change the status quo? - How do I align two disparate groups? - How do I remove the obstacles that separate Dev and Ops teams? - Will customers see a difference if devs are on call? - Can IT start to think differently?